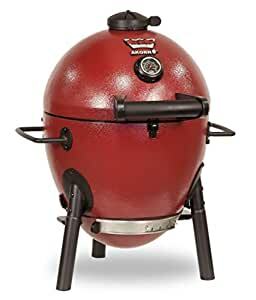 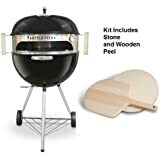 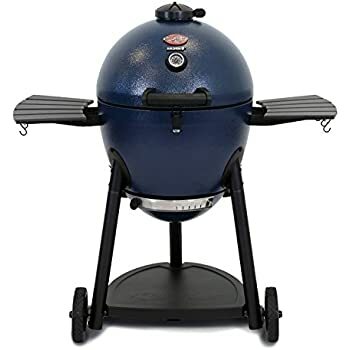 Amazon's Choice for "green egg"
Sold by soldbbq and ships from Amazon Fulfillment. 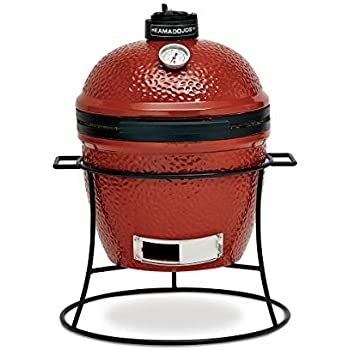 Enjoy Kamado style cooking with the Char-Griller Akorn Jr. Kamado Kooker Grill and Smoker. Easily sear meat with high heat or enjoy a low and slow roast. 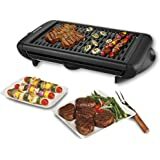 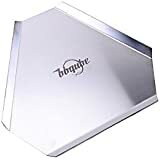 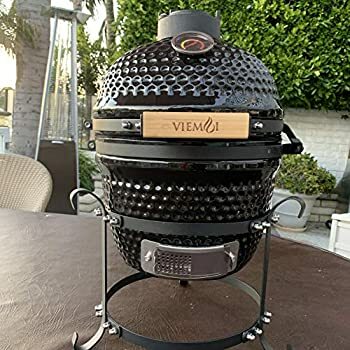 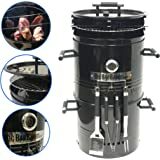 This small but versatile grill and smoker is built to last with triple walled 22 gauge steel and will easily maintain cooking temperatures ranging from 200-700 degrees Fahrenheit. 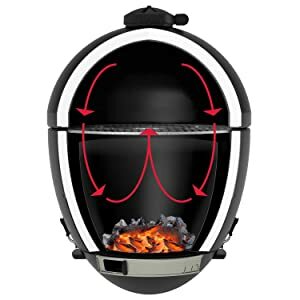 Top and bottom adjustable dampers maintain even air flow into and out of the grill while cooking or smoking. 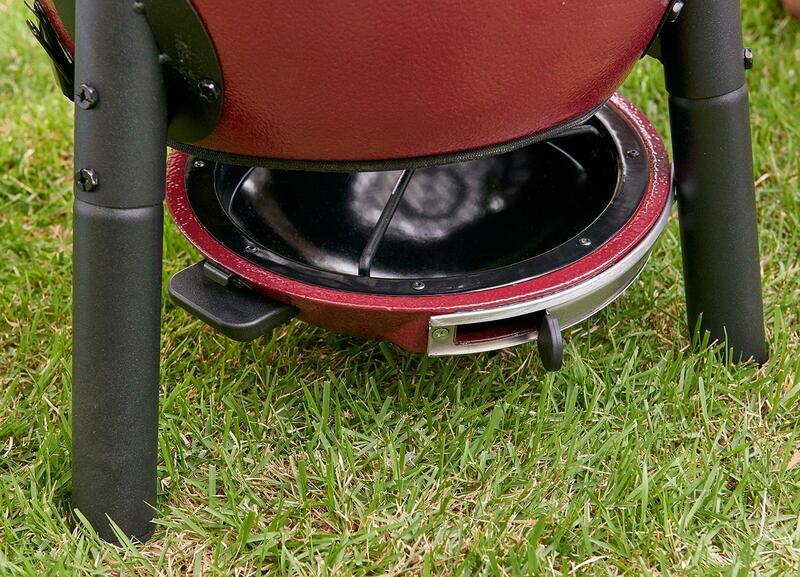 The Kamado design makes it fuel efficient so you can use less charcoal when cooking. 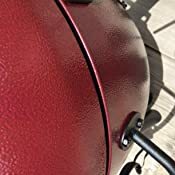 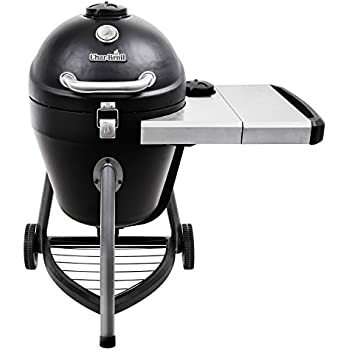 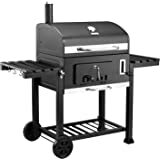 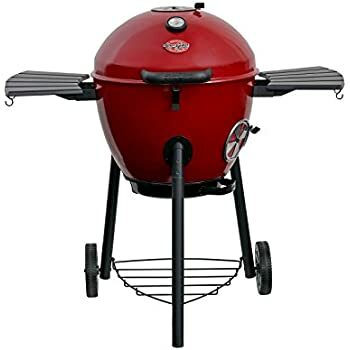 The Char-Griller Akorn Jr. features a powder coated exterior finish, porcelain coated steel interior finish, 153 square inch (14" diameter) cast iron cooking surface, an easy dump ash pan, and built in temperature gauge. 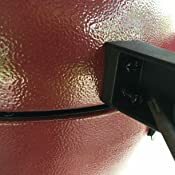 Built to last with 22 gauge steel. 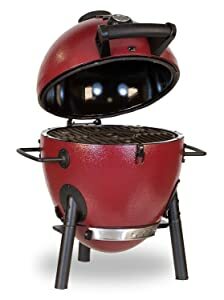 Exterior finish is powder coated steel, interior is porcelain coated steel. 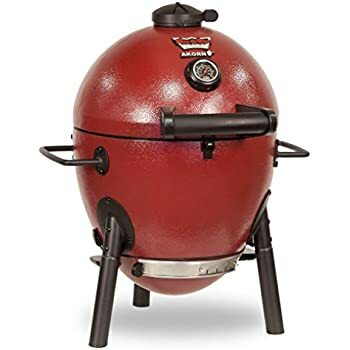 The Akorn Jr. Kamado Kooker is triple-walled to retain heat and maintain temperatures from 200 - 700 degrees Fahrenheit. 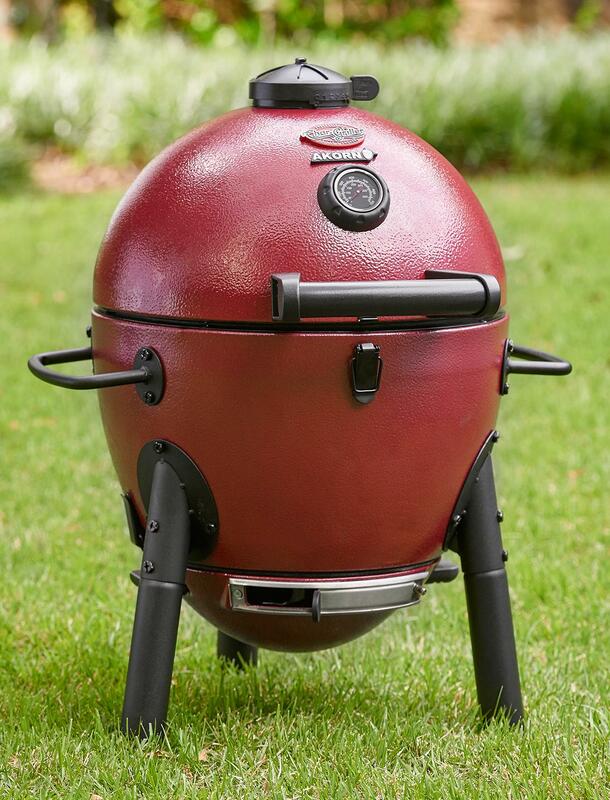 The Akorn Jr. Kamado Kooker has 153 square inches (14" diameter) of cast iron grill space. Plenty of room for grilling at the park, camping, tailgating, or in the backyard. 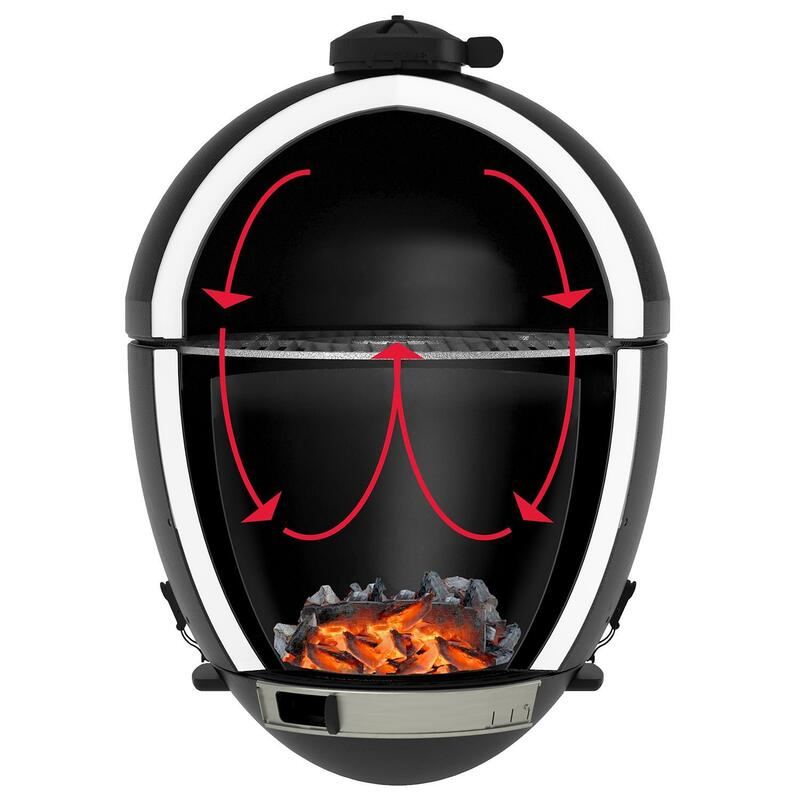 Adjustable top damper maintains airflow and heat control along with a built in temperature gauge. 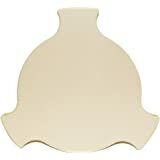 Perfect for high heat sear or a slow smoke. 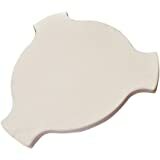 The easy dump ash pan makes for quick and easy clean up. 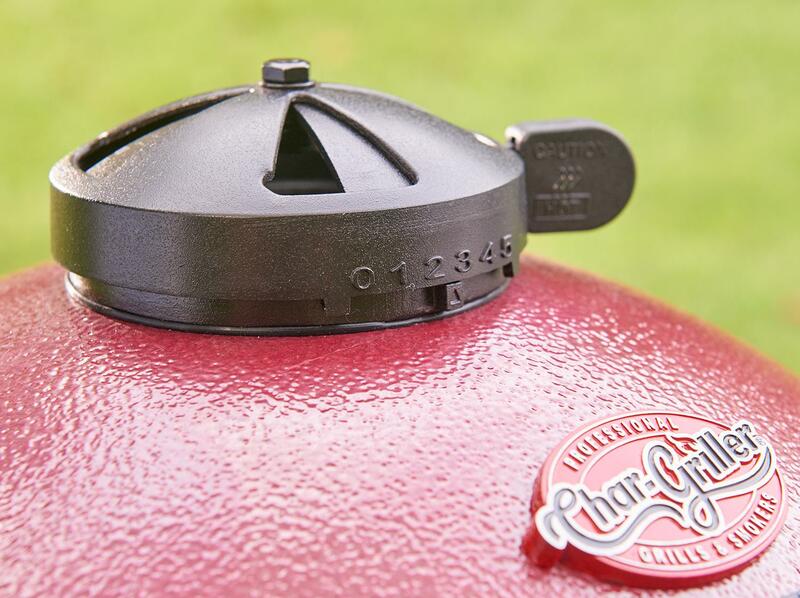 Two durable handles for easy portability and grilling on the go. Short sturdy legs keep your Akorn Jr. steady while grilling. 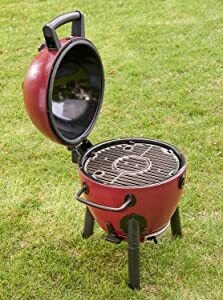 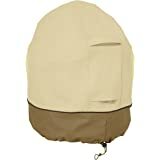 Great for tailgating, camping and going to the park. The Char-Griller AKORN Jr. Kamado charcoal give you all the power of a full-sized adorn in a pint-sized package. 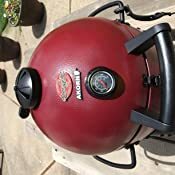 The AKORN Jr. 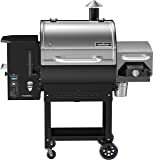 Features dual dampers, heat Gauge, & insulated triple wall steel to deliver a superior grilling experience. 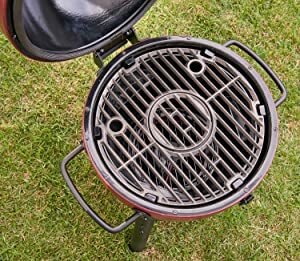 Keep flare-ups low with cast iron cooking grates & grill more with less charcoal. The AKORN Jr. Offers easy mobility & is great for tailgating, camping & going to the park. 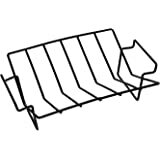 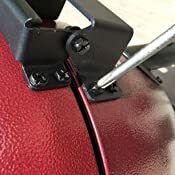 Outspark Pizza Stone Heat Deflector for Char-Griller 6211 Smoking' Stone Jr.